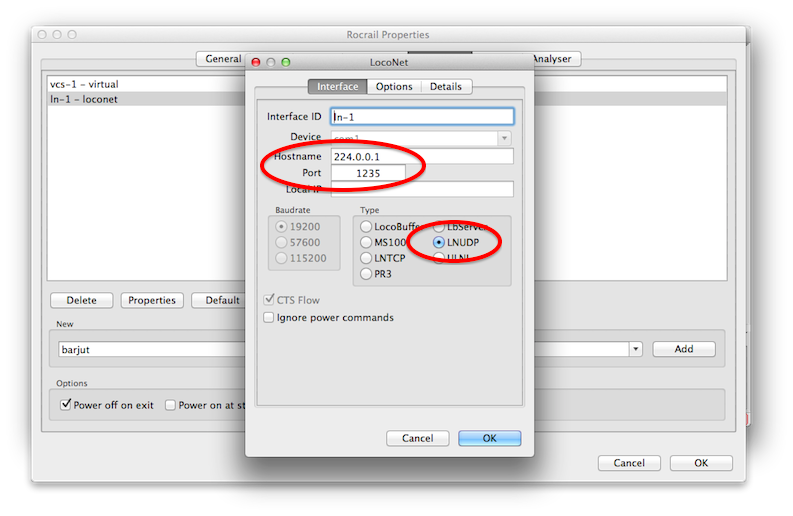 Use only when no LocoNet Command Station is attached to the network! The goal is to create a LocoNet environment with the Slot Management implemented in software, and using a none LocoNet CS. 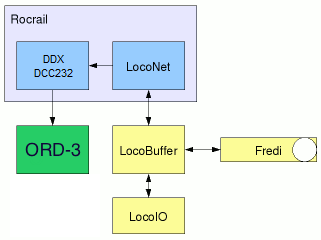 The Rocrail server supports multiple controllers/command stations and it can redirect commands from one controller to the other, using the IID as destination controller, which is used when the Slot Server in the loconet library is activated. The redirection can be to any other controller. FRED function F0 to F8 are supported. 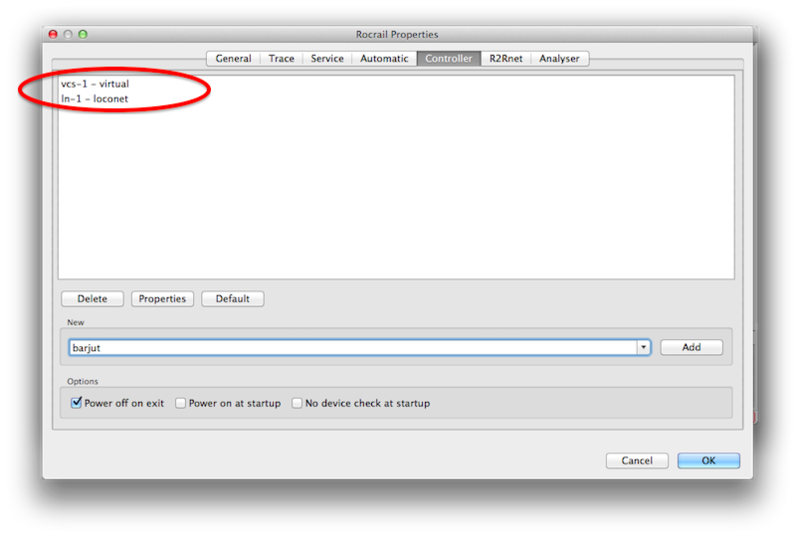 IntelliBoxes, configured as throttle, are not supported. A slot read is automatically issued when this given time is almost elapsed for a mobile decoder to prevent the CS to purge an idle slot. Set to zero to disable this feature in case of an active slotserver. 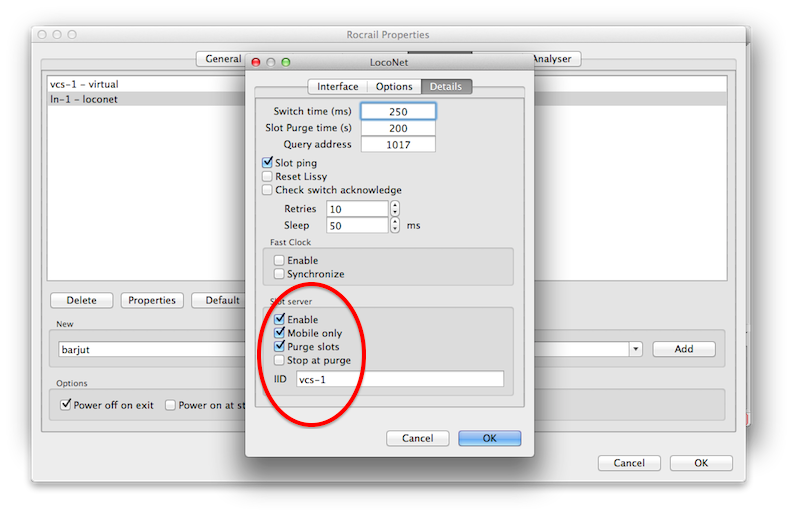 Advised is to disable this option in combination with the SlotServer. The Interface ID of the Command Station to use to forward the Loco commands. Instead of the Virtual CS any CS can be used which is capable of dealing with Loco commands. 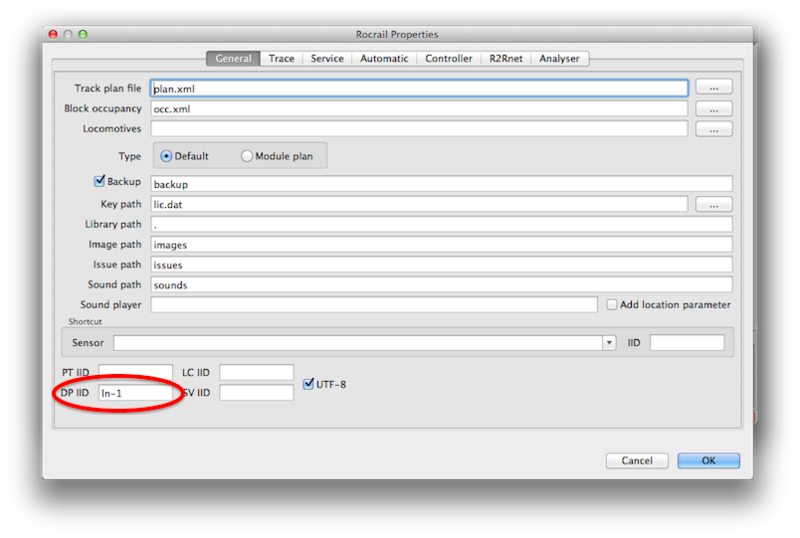 The Interface ID must be left empty; The redirect Slotserver IID will be used automatically. Connect the FREDi to LocoNet. 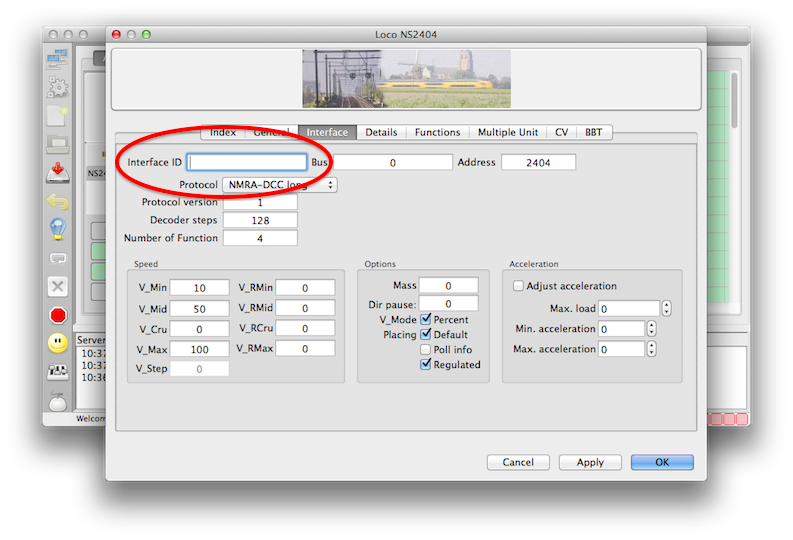 Select a loco in loco tab.